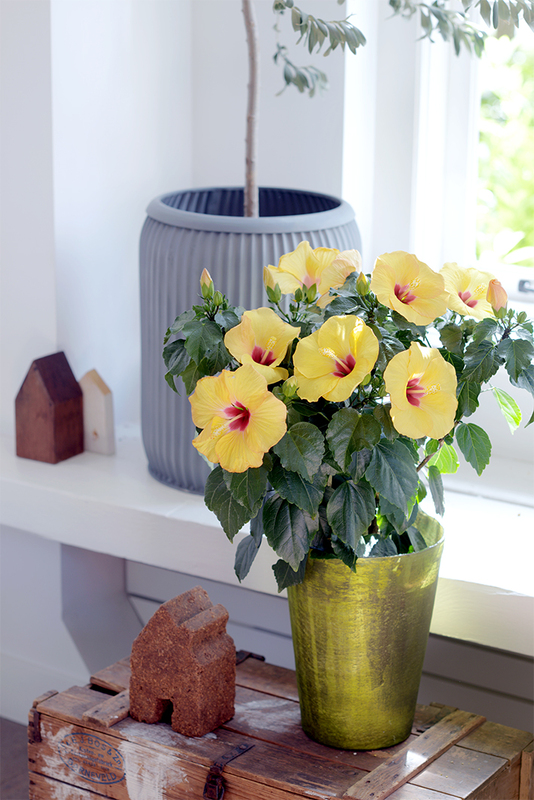 In May, the Hibiscus is the Houseplant of the month. This beauty with its spectacular flowers, makes you daydream of tropical islands with white beaches and Hawaiian hula dancers. Obviously the leaves of the Hibiscus are beautiful: they shimmer at you and have lovely oval shapes and sharp points, but the real attention seekers of the Hibiscus are their flowers. They have a diameter of between 10 and 12cm and five petals. These spectacular flowers sometimes flower for only one day, but are followed non-stop by new ones. 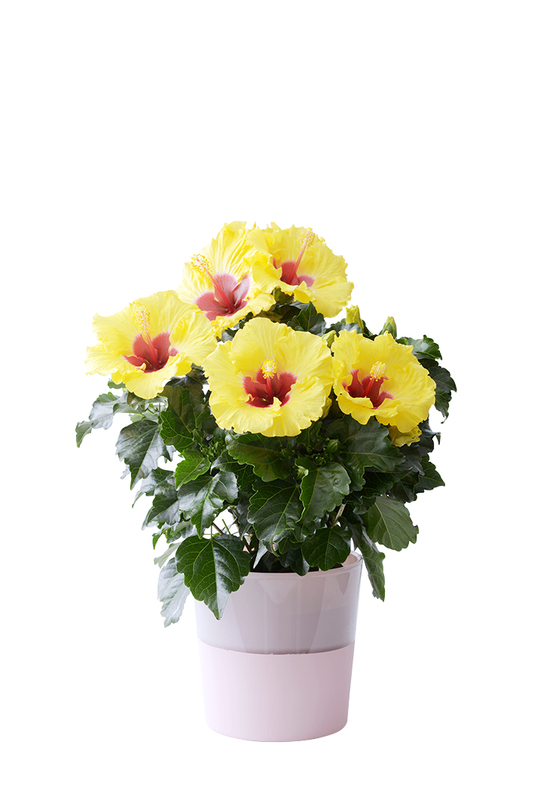 The Hibiscus is available in red, orange, yellow, purple, pink, white and bi-coloured. 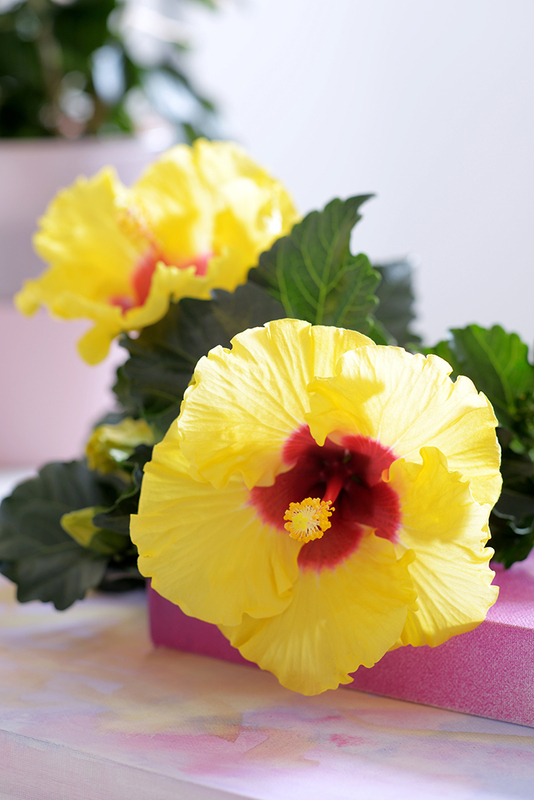 Even though we may dream of Hawaii when seeing a Hibiscus, the houseplant actually originates from South West Asia. It grows there in the wild as a shrub and can grow up to four metres tall. With this topographical information at the back of your mind you will also realize that you can place them outdoors in warm weather. 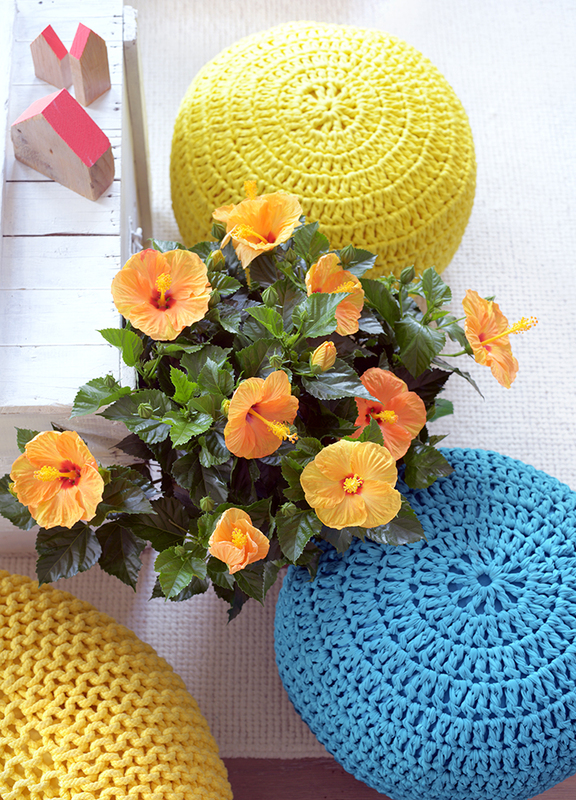 The Hibiscus has a couple of modest care requirements. 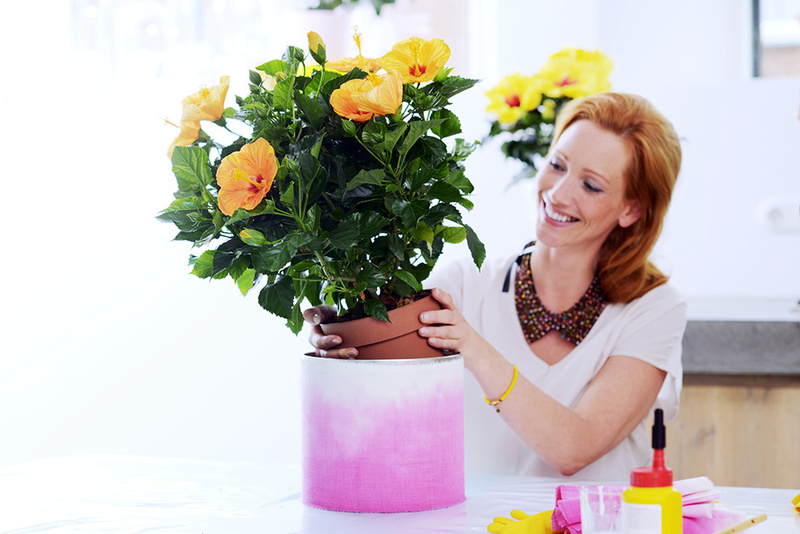 Give it a sunny position and regular small amounts of water. 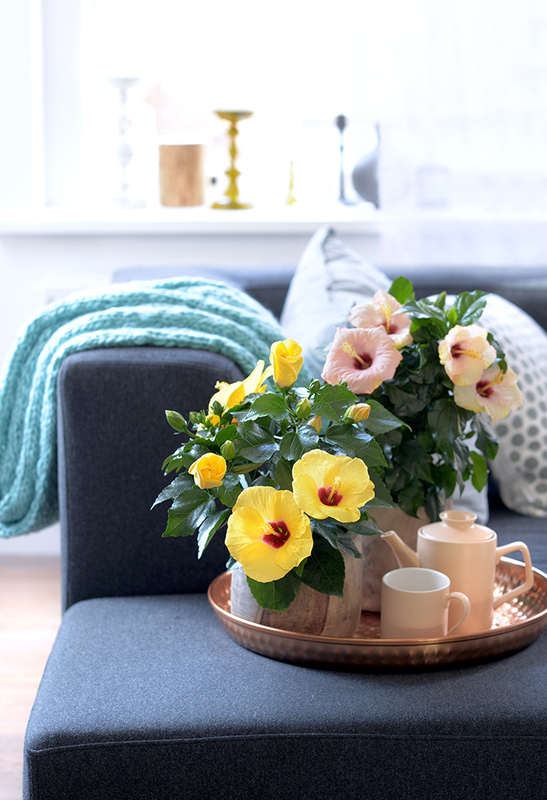 If you remove the dead flowers regularly, the Hibiscus will keep on making new ones. 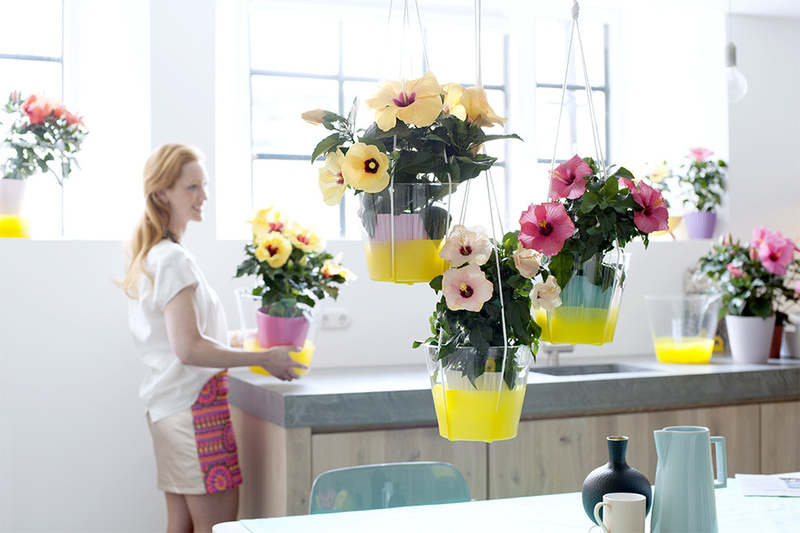 It likes to hibernate in the winter: place it then in a light, cool room and give it less water. In the spring you can prune the plant back. The Hibiscus likes to be outside in the summer. 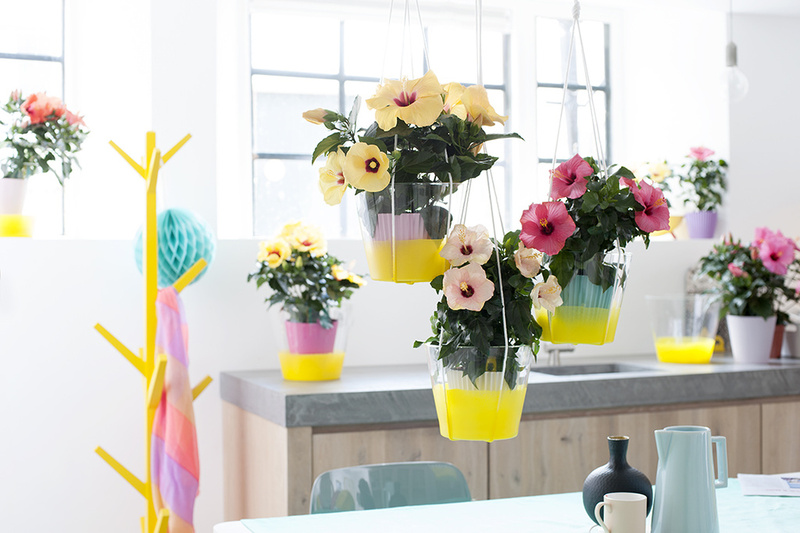 The Hibiscus, takes centre stage this month as Houseplant for May 2015. 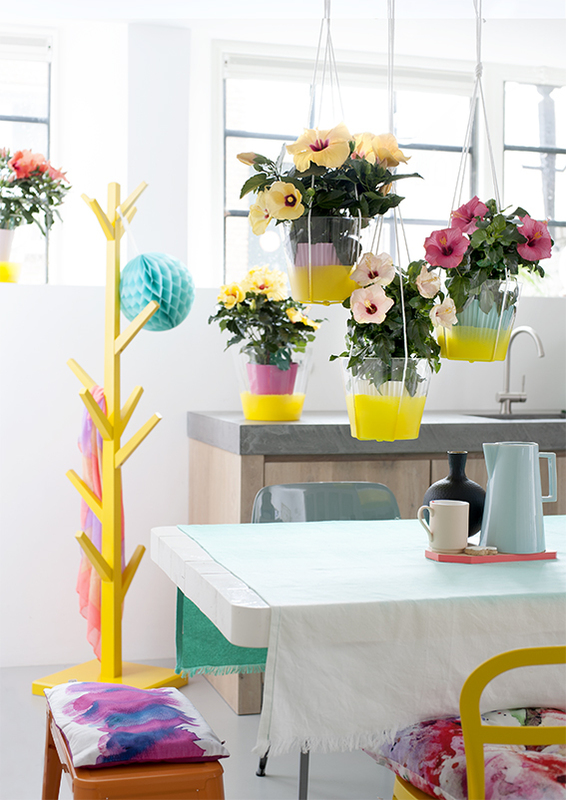 ‘Houseplant of the month’ is an initiative of the Flower Council of Holland. 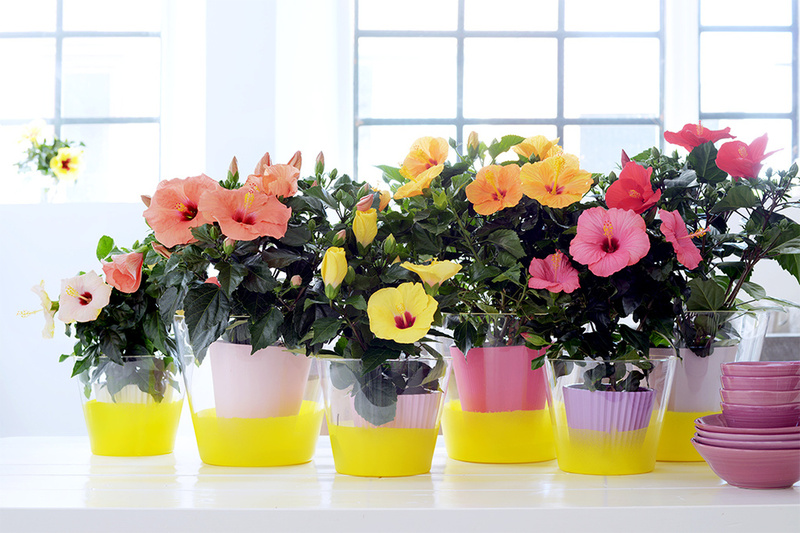 Each month the Flower Council, in collaboration with representatives from the horticultural sector, chooses a plant which is liked by the consumer, or isn’t well known but has the potential to do well indoors.